The Playstation has to leave. Why? 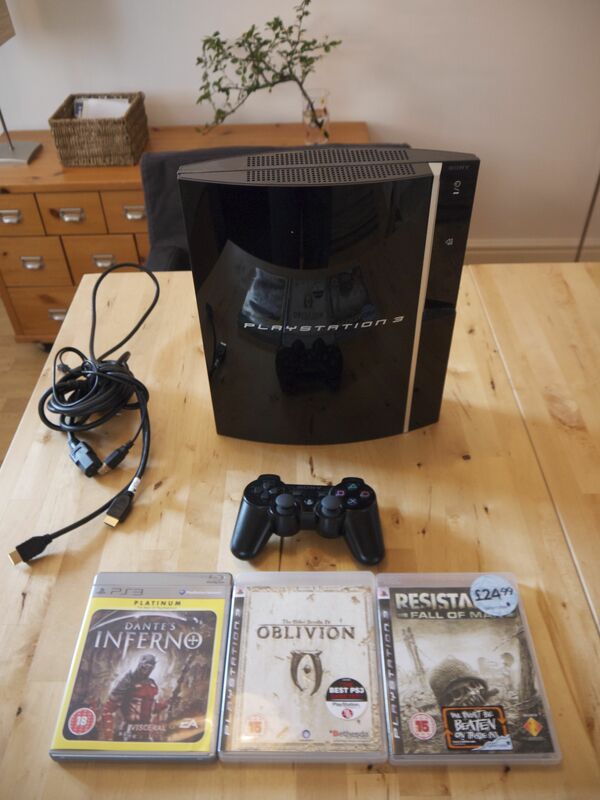 So this is it (shoobab): my Playstation 3 finally has to go. We spend 3 stormy years together, but in the end her flaws where just too obvious, so she will leave the household through the front door via ebay, head (or sisaxis controller) held high. When Sony announced the original specs for the PS3, I literally drooled: the mixture of capable graphics hardware with the cell processor, coupled with bluetooth, wifi and a blu ray player sounded just too good. So when I finally bought her in February 2008 due to a sudden bout of long distance relationship induced blues, I was incredibly excited to have her in the house. I was envisioning nights of coding and surfing on the fastest Linux ever, thanks to the remarkable architecture, amazing graphics and superb cell processor, but of course all my dreams were crushed due to Sony’s decision to limit 3rd party OS’s access to the hardware and my inability to work the Sisaxis controller. So all games I played I immediately failed due to my extreme clumsiness (or the fact that when I learned gaming, we had something called ‘joysticks’, ‘mice’ and ‘keyboards’. I still game (to the chagrin of the best girlfriend ever), but these days it’s a Windows 7 based gargantuan rig (Macs aren’t for gaming. They are for working), and so the PS3 ended up to be the most electricity demanding BlueRay player ever. Each time another episode of Boston Legal was watched, another three nuclear power stations in France had to put another log on the fire and the lights in my little village in Mid Essex started to flicker. The last insult really was Sony’s appalling behaviour towards their fan community by locking down the juggernaut further and further and in the end even going to war with their most devoted hardware hackers. This, and its inability to play multi region DVD’s (there are ca 100 unwatched DVD’s from New Zealand in my living room, begging to be freed) finally pushed it onto ebay. So, if you can actually use a Sixaxis controller, don’t mind the French to work their nuclear power stations overtime and have no use for DVDs outside region 2 and love Sony’s hold on your product, buy her here. But please be nice to her.